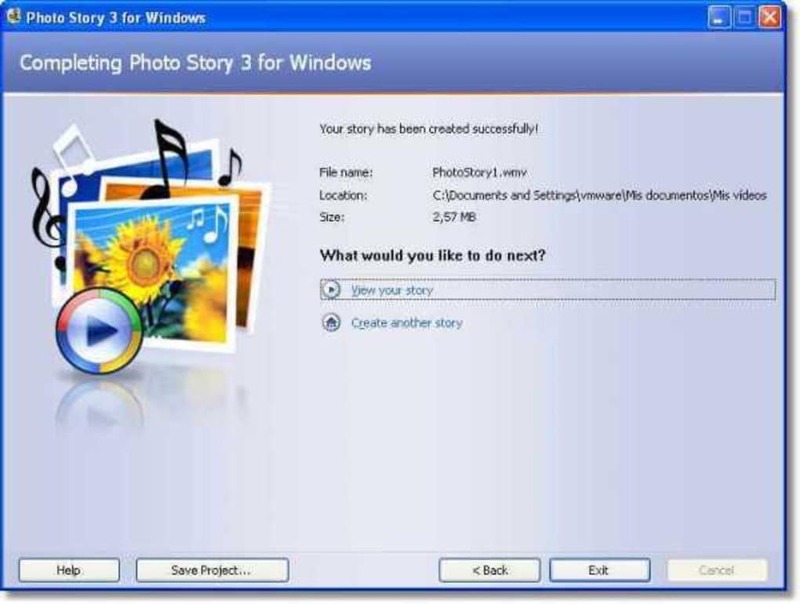 Microsoft Photo Story is a photo presentation program for Windows XP. If you're looking for a similar program for Windows Vista or 7, check out Windows Movie Maker or Windows Live Movie Maker. Microsoft Photo Story lets you drag photos onto a window, arrange them as needed, then provide custom narration, transitions, zooms, pans, audio soundtracks and/or custom auto-generated music, then export the result as a WMV file. 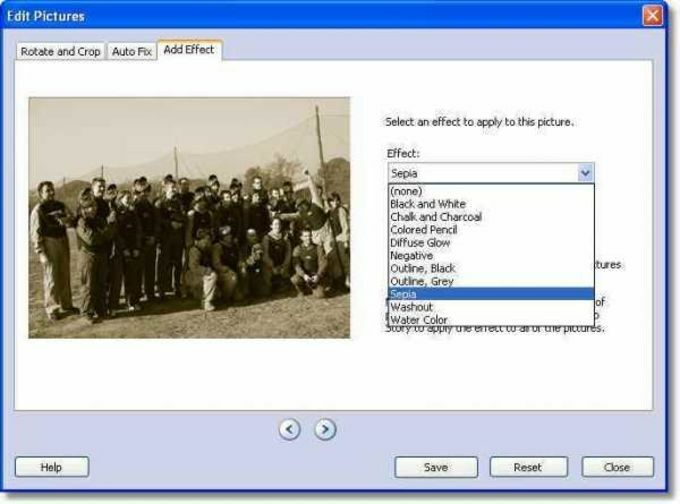 Applying such features can prove tricky in some programs, but not in Microsoft Photo Story. The fact is, you don’t need to tweak a whole bunch of settings because the program does it for you, automatically generating transitions and zoom/pans without you having to set it up yourself. What's more, the ones generated by default look great. While you can simply sit back and let Microsoft Photo Story do everything for you, there's still plenty you can play around with if you’re feeling adventurous. 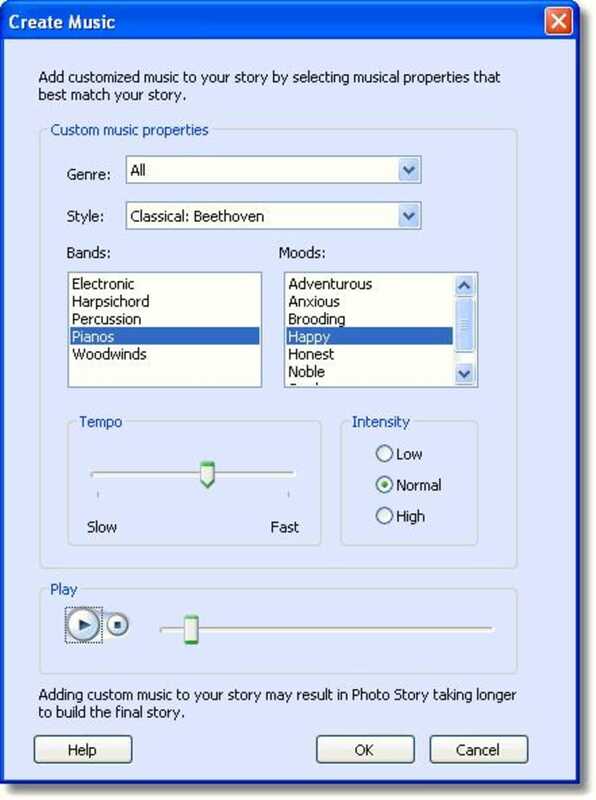 For instance, you can build your own custom soundtracks for your slideshow. You can pick from a bumper range of music genres, tempos, instruments and effects, giving you the chance to match the audio precisely to the mood of your show. Output from Microsoft Photo Story is in Microsoft's WMV file format, which is more compressed than MPEGs or other movie type files. 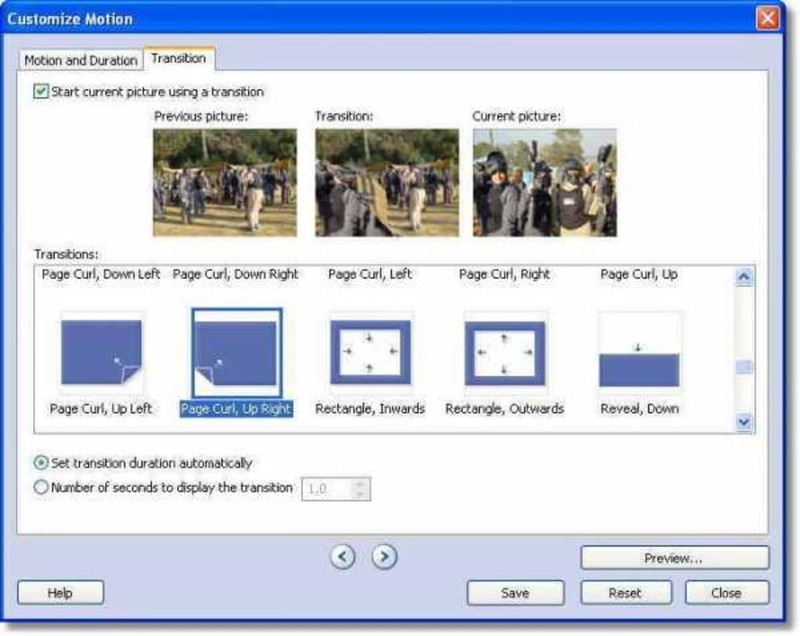 You can choose from various resolutions in order to optimize your slideshow. Unfortunately, however, the output movies from the software are not as sharp as they’d be in VCD or DVD format. 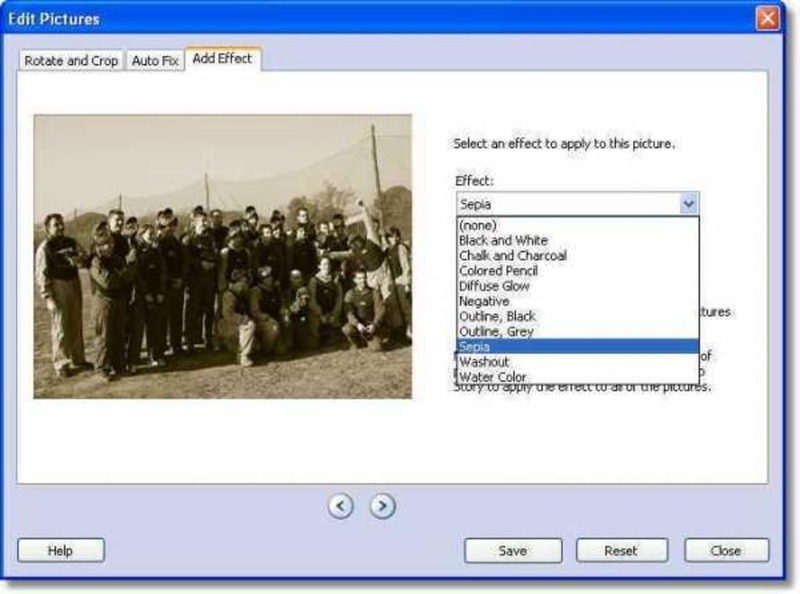 It's a shame that Microsoft Photo Story does'’t support burning DVDs and VCDs with the created slideshow, and you’ll need your own DVD authoring app to do this. 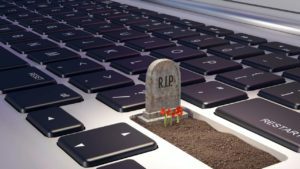 There are applications, such as ProShow, that contain burning options and support for higher resolution output, but there's not much that can match Photo Story in terms of its ease of use and automated features. So, if you want a quick way to create stand-out photo presentations, Microsoft Photo Story is well worth downloading. Then, personalize them with titles and captions. Small file sizes make it easy to send your photo stories in an e-mail. Watch them on your TV, a computer, or a Windows Mobile–based portable device. 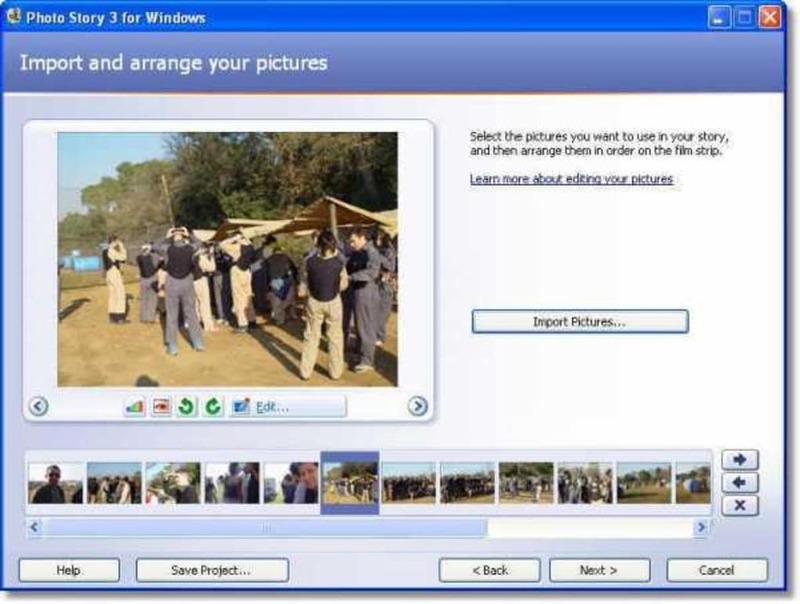 Create slideshows using your digital photos. With a single click, you can touch-up, crop, or rotate pictures. It's that easy! Add stunning special effects, soundtracks, and your own voice narration to your photo stories. Then, personalize them with titles and captions. Small file sizes make it easy to send your photo stories in an e-mail. Watch them on your TV, a computer, or a Windows Mobile–based portable device. This program is very easy to use to the person who is not good to computer. best software. I like it, I love it, always. One of the Best software. Using it for a more than a decade. 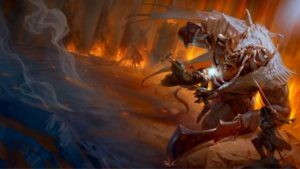 Unable to handle modern image file sizes and no widescreen support. Unusable -- don't waste your time. No native support for widescreen, and unable to process more than a few smartphone image files without error. I wanted to make a slideshow to display on a widescreen TV, using 'Ken Burns' effects. I had a collection of photos taken with a smartphone camera and a canon point-and-shoot camera. 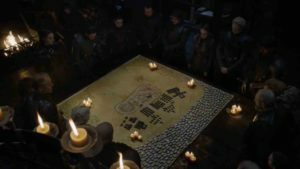 First of all, there is no support for the standard widescreen video format, so I had to use the suggested hack of tricking Photo Story by stretching/distorting the images (I couldn't even find an image editor that could do this, so I used ImageMagick from the command line). After all that trouble, it couldn't even handle my pictures. I would get the dreaded "not enough storage or memory" error if I had more than about 8 pictures. In the end, I just used the 'Photos' app on an old Macbook and it was so much easier and not a single problem. It was horrible.. I used photo story and now I wish that I hadn't. It was horrible, do not use.